A Pest control service for Brisbane south side customers is exactly what’s needed if you are being overrun by pests in the home or office. Using a safe and reliable company like Sunnystate is a key factor in obtaining a quality service. The south side of Brisbane has grown a lot over the last 10 years or so. This growth has meant that there are more homes and many more units. Areas such as Greenslopes, Coorparoo, and Holland Park have had a big jump in new units. 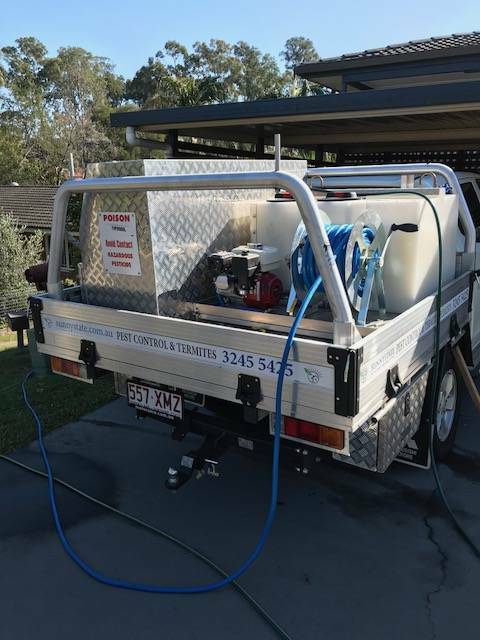 These units all need a regular Brisbane south side company to carry out a professional pest control service. Pest extermination on units may sometimes be taken care of by the body corporate. The body corporate is usually responsible for external treatments. The owner or tenant is responsible for the internal part of the treatment. If you live in a unit or even a townhouse complex it’s best to ask the manager who is responsible for the pest treatments of the property. In some instances, the manager may have a list of companies that they use. The tenant or owner isn’t under any obligation to use the company the site manager recommends. Each individual unit owner or tenant can contract any south side Brisbane pest control company they wish. Ensuring the company you use is licensed and insured is paramount to ensure a professional service is carried out. I have been called out to homes many times to rectify other companies’ mistakes. Make sure that the company you use offers a full warranty on their work. Ask for the warranty details to be written on the receipt. This will help to ensure you are dealing with a reputable pest controller. Using a professional pest extermination company is very important for tenants requiring an end of lease pest control. If the property manager isn’t happy with the service they will ask for it to be done again. Where a second company is brought in to complete the treatment the tenant will be charged. The property manager will simply take the money from the bond. There are plenty of pest elimination companies throughout Brisbane you just need to choose the right one. Read on to get a better understanding of what to expect from a pest control service from a company on the south side of Brisbane. What gets treated by a professional Pest control company on the south side of Brisbane? The pest treatment is going to be internal and external most of the time. However, some customers may opt for just an internal spray. Where only either an internal or external spray is required it should reduce the price. This is good for people that are on a budget as the internal treatment will help to bring a pest problem under control. A pest control service by a Brisbane south side company is going to be more beneficial if both internal and external are treated at the same time. Pests come from outside to start with so treating there makes great sense. The most important areas to treat are the kitchen, laundry and bathrooms. These three areas have everything common pests require, Water, food and a place to hide. Obviously, any other problem rooms in the property should also be sprayed. So the treatment will go something like this. First, the roof void will be treated with permethrin dust. The dust will kill just about any pest found harbouring up in the roof void. After the dust has had time to settle some rat and mice baits will also be placed into the rood void. A roof void is a favoured place for rodents to harbour. 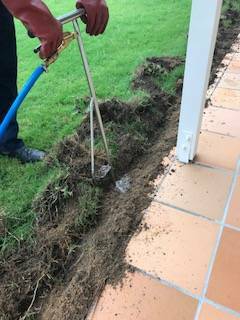 So it’s important this area is treated during a pest extermination treatment and is carried out by a reputable Brisbane south side company. After the roof void has been treated it’s time to start on the rest of the property. First, a liquid insecticide will be mixed up. The insecticide is sprayed around the internal skirting boards and kitchen kickboards. The reason these areas are treated is simply that that’s where many pests will run. Pests such as cockroaches and silverfish like to have a hard surface to the left or right of them. This gives them a sense of security. The insecticide is ingested into their body as they run and come in contact with the product. After the spraying is complete the kitchen is treated with cockroach gels and more dust. The dust is the same as what was used in the roof void. The dust will be blown under appliances and in draws as these are known harbourage areas for many pests. The cockroach gels are simply placed in some of the kitchen cupboards. Most pest extermination companies that operate on Brisbane’s south side will place the gels on the door hinges. The cockroach gels are very effective at getting rid of cockroaches. They will stay active for well over 12-months. If all of the above steps are taken the pest treatment should last for 12-months. Every home should have a pest control service carried out once a year. Brisbane has very hot and humid weather and this is a great environment for pests to breed. So the main products that are used in a professional pest control service are Sprays, Gels, Dust and rodent baits. There are many different types of cockroach gels available today, and when used correctly they are very effective. Cockroaches will seek out the gels and feed on them and then after a short time, they will die. Cockroaches are scavengers and opportunists they will feed on just about anything. This is why the gels work so well at getting rid of cockroaches. Permethrin dust is a great product it works well on pretty much all household pests. The dust can be blown into a roof void as mentioned earlier or placed under appliances. If the dust is dispensed by a professional pest controller the customer won’t even know it’s there. The idea with the dust is that very small amounts are used at any one time. If big chunks of dust are placed under appliance pests will simply go around it. By applying fine amounts onto different surfaces the pests don’t see it. When they crawl over it, it’s then ingested into their system. Then it’s goodnight vena. There are plenty of different insecticides that can be used for general pest treatments. Each product will come with a label. The label will say what pests the product will kill and also where it can be used. The label should always be read and understood by the pest technician. Understanding the label is the technician’s duty of care to their customer. Spray treatments are targeted at surfaces around the home. Once the product is dry it leaves a clear odourless part of the product on the surface. Pests will crawl over the areas treated and unknowingly ingest it into their system. Liquid insecticides are so good these day no pest stands a chance if they are applied correctly. Many people ask me if the products are safe and the short answer is yes. Obviously, we are dealing with poisons and care still needs to be taken. The insecticides are designed to kill pests with a very small body mass not the body mass of a human. Having said that the right amounts still need to be mixed to make sure they are safe for family and pets. Most pest control sprays are mixed at around 50-100mls per 10 litres of water. Again this will depend on what the label says. Although this is relatively small amounts protective clothing should always be worn. So the short of it is that all the products in the pest industry are safe if dispensed by a professional. Once the spray is applied to a surface it dries and is then invisible to the human eye. It leaves a residual barrier on different surfaces to help keep pests at bay. Also pretty much all pest sprays these days are odourless especially those that are for internal use. When a pest control company located on the south side of Brisbane has completed a professional treatment it should last for 12-months. The warranty period will depend on the environment at the property being treated. Where a serious infestation has occurred it may take more than one treatment. In this situation, a lesser warranty would be given until the problem has been fully eradicated. Always ask your pest exterminator how long do they guarantee their work for. The warranty period should also be written down on the receipt. Your receipt should be kept in a safe place for future reference if needed. These days many pest controllers use electronic receipts that are sent by email. At Sunnystate pest control we use the electronic receipt and have a copy on file for all of our customers. Also, a small sticker should be placed in one of your kitchen cupboards for quick reference. The sticker will tell you when the treatment was carried out and when it’s next due. Treating for termites many customers are getting this part of the pest control industry very wrong. When I arrive at a south side home in Brisbane to carry out a pest control treatment I get asked does it include termites. The short answer to this is no! a general pest spray for common pest will not cover for termites. Some companies will tell you it does just to get a foot in the door but I assure you it doesn’t. If any company tells you that termites are included in the pest treatment run, run away very fast. To treat for termites the only place to apply the chemicals is deep in the ground. To get the chemicals into the ground requires a lot of work. Drilling through concrete paths, driveways and trenching the soil. The very first thing that needs to be done when dealing with termites is a termite inspection. Regardless of what anyone tells you, a termite inspection has to be completed before any termite works can take place. Once the inspection is complete a full report will be issued outlining any issues and recommendations. If a termite barrier needs to be installed a quote will be sent along with the report. The cost of a termite barrier will depend on the size of the property and the complexity of the works. At the time of the termite, inspection measurements will be taken to ensure an accurate price is given. Another factor in determining the price of a termite barrier is the product that will be used. The best chemical barrier product is Termidor HE. The one thing with this product is that it’s not cheap, but then again neither is a house. When a barrier treatment is installed a termite certificate will be issued to the owner. The certificate will outline what chemical was used and how long it will last. Word of warning, have your annual termite inspection carried out by a qualified technician. Do not risk this to a cheap company as termites can destroy a home in a very short time. All homes should be inspected for termites every 12-months regardless of whether or not you have a termite barrier installed. The short of all this is that a pest control treatment is safe for the whole family and pets when done right. Don’t waste your time with cheap pest control companies in Brisbane, that don’t warranty their work. This will just end up costing you the customer more money further down the track. And especially don’t risk your home to a cheap pest exterminator when dealing with termites. This will most certainly cost you a lot more down the track and in some cases financial ruin. When looking to book a pest control service of any kind get on the phone and talk to the company. Explain your situation and any pest problems you may be having. Ask how long their warranties are for and what’s covered. Don’t be fooled by tricky advertising and cheap deals. These are there just to get their foot in the door then the upsell comes. Always remember if it sounds too good to be true it probably is. If you liked this article please feel free to leave your comments down below. 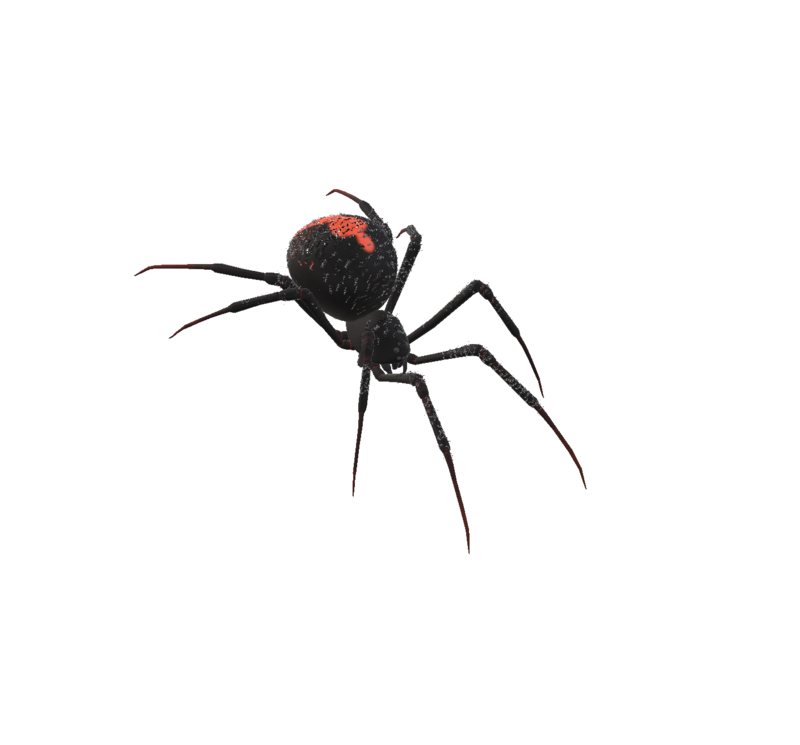 If there is anything we can do to help you with a pest problem call or email us anytime.